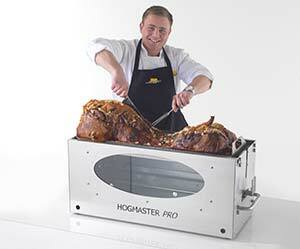 I first heard of the Hogmaster machine when one of my work colleagues, Andrea told me about one a few years back. She explained that although she didn’t throw parties every weekend, when she did, they were spectacular and tasty due to her equipment. 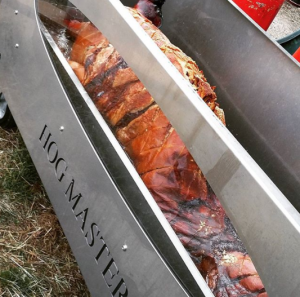 She had bought a professional Hogmaster from Hog Roast Machines. Andrea liked to use her machine to create all sorts of dishes, whether it be pork, lamb, beef or chicken. The versatility of the hogmaster excited me and in the end, I wanted my very own. At first I was worried about cost and how to use it however as soon as I called the hog roasting machine company, they explained how easy and efficient it was to use. Soon enough, I bought my very own. A team of two staff delivered the large, shiny piece of magic to my door, they also explained how to set it up, how to clean it and how to store it. I had a shed in my rear garden that was never used and immediately it was put to great use. The team emphasised how many things I could cook with my new piece of equipment and I decided to throw my first summer party. 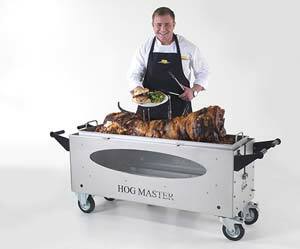 On the day of my party, my guests were shocked at the sight of my brand-new hog roasting master, rather than my little barbecue that I used to burn sausages on. This time, my hog was cooking beautifully in the heat of the machine whilst filling my garden with the most delicious aroma. I set up a small table with paper plates and forks and I was ready to go. Soon enough, my family and friends queued up around my work station and piled their plates with piping hot, tender meat and fluffy bread rolls to compliment the dish. That day I barely touched the master and I didn’t have to spend hours turning the meat like I used to on my barbecue. This was honestly the best buy in years. I now throw regular parties for friends, family and work colleagues. Hog Roast Machine To Local Farmer.